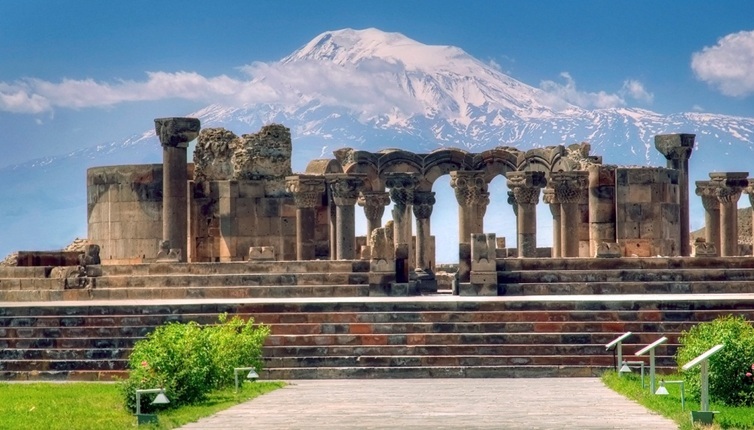 The Zvartnots Archaeological Site is a unique example of Armenian architecture of the early Christian period. Building of the temple was begun by Catholicos Nerses III in the mid-7th century. After relinquishing the Catholicossal throne for a time in 652, but after his return to office in 658 he completed the construction of the temple with its secular annexes and its ramparts in 662. Zvartnots exerted a major influence on the architecture not only of its own time but also on that of later centuries. Circular in plan and three-tiered, its only borrowing from earlier cruciform and central cupola churches was the interior cruciform plan, which was set inside walls that were circular on the inside but polyhedral on the outside. 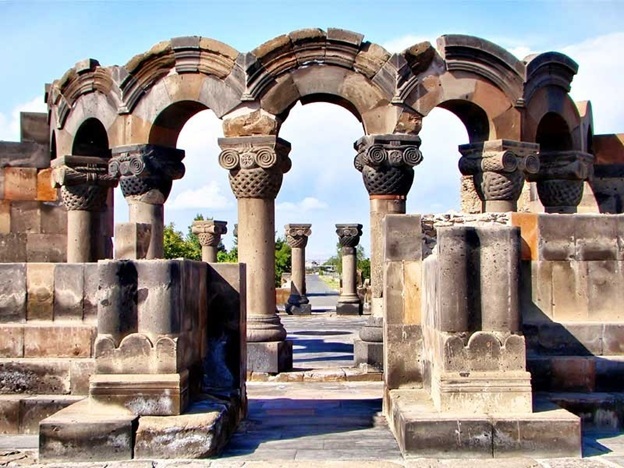 The remains of Zvartnots and its related buildings, which had been destroyed by an earthquake in the 10th century, were revealed at the beginning of the 20th century by the architect Thoros Thoramanian, who carried out the first reconstruction project.